But homegrown startups like SG Bike and Anywheel are picking up the slack after the retreat of Chinese bike-sharing unicorns from the market. 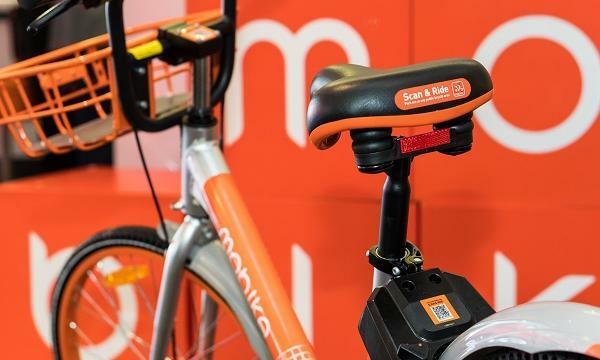 The faltering bike-sharing industry in Singapore was dealt another heavy blow when Mobike applied to surrender its license to the Land Transport Authority (LTA), raising questions about the sustainability of the business model in a city where last-mile transport issues remain unresolved. With around 25,000 bikes in its fleet, the Chinese bike-sharing unicorn holds the title as Singapore’s largest bike-sharing player with operations in 180 cities worldwide including Italy, Britain, US and South Korea. Mobike has over 7.1 million active bikes and over 48.1 million active bike users as of April 2018, according to a prospectus from its parent company Meituan Dianping. The Chinese movie-ticketing company acquired Mobike for a reported US$2.7b in April 2018. However, financial difficulties in its home market may have prompted Mobike to rethink its global ambitions, said Yunming Wang, venture partner at Quest Ventures. An earlier report from TechCrunch revealed that Mobike reportedly laid off its entire Asia-Pacific operations team as part of its efforts to trim down its regional presence and focus on its Chinese operations. Losses from Tencent-backed Meituan Dianping widened to $687.22m (CNY3.4b) in the quarter ended December 31 from $444.67m (CNY2.2b) the previous year as revenue failed to keep up with steep costs, according to its financial statement. Mobike’s woes are the latest in a string of difficulties faced by Chinese bike-sharing players in Singapore. The firm’s planned withdrawal follows the retreat of Alibaba-backed ofo whose license was suspended in February 2019 after failing to comply with regulatory norms as well as oBike’s sudden exit in 2018 and is currently in liquidation to refund credit to its users. “The Singapore bike-sharing scene is now dead. Where there was untidiness on the streets, there was however last-mile convenience. With the industry all but dead, the streets are now tidy but the convenience is gone,” said Wang, referring to the indiscriminate parking of shared bikes in Singapore which could be traced as the source of Ofo’s woes. The LTA earlier cracked down on haphazard bike parking by setting a QR code-based-geo-fencing solution where users can only park their bikes at a designated area by scanning a parking QR code. “For an industry that was widely hailed as one of modern China's four great inventions - the others being high-speed rail, Alipay and e-commerce - this is a sad retreat and has important lessons for startups to learn,” he added. The asset-heavy nature of the bike-sharing business may have also contributed to the system’s operational problems as a growing userbase means that players require a larger number of bikes to service them, according to Ramesh Raghavan, vice-chairman at Business Angel Network of Southeast Asia (BANSEA). “The business model was based not on bike economics but probably more on deposit collection and using the interest to generate return and grow customer base at the fastest pace. At some point of time they all thought they would become a bank as interest on deposit collected was sizeable but net usage of assets was very low,” he explained. To ensure sustainability against steep operating costs, Raghavan proposed consolidation and partnership given the business model’s high capex which he claims does not make sense with low margin and low asset utilisation. For instance, the remaining players could take a leaf out of the car-sharing industry and share bikes across different operators through a common app and rationalise routes. “Bike sharing is less of a viable model in Singapore and more sensible in larger cities in China if you can reduce capex and increase rides per day. This also needs lot of work on finding the routes with maximum usage and limiting to that. It can't be based on buying bikes for every new customer trying to use the app,” he said. Instead of seeking easy exit routes, Hall also urged bike-sharing platforms to tie up with private and public platforms in order to cushion the associated costs of maintaining and moving the business forward. “[Startups should] optimise for positive unit-economics, push heavily into partnerships, both private and public, that could offset some of the costs associated with the business and perhaps, just maybe, focus on building a sustainable business instead of a fast-growing startup that might sell for a billion dollars,” he said. Where others see only challenges, however, some see opportunity like Anywheel, one of the few remaining players in Singapore’s faltering bike-sharing industry. Anywheel plans to upgrade its license to a full one during the second application of licensing and expand its fleet size from the approved 1,000 bikes in line with its eventual goal of islandwide roll-out. The homegrown startup currently holds a sandbox license as it has only been operational for more than six months when licensing applications opened in June 2018. “In a way, the exit of other operators do give us more opportunity. After all, the demand is there and less competition means bigger market share right?,” Htay Aung, founder at Anywheel told Singapore Business Review. Similarly, Benjamin Oh, marketing director at SG Bike which has over 3,000 bikes in its fleet, believes that the the wheels haven’t fully come off of the bike-sharing industry. After adding 200 bicycles to its fleet in 2017, SG Bike is still racing ahead to expand to more areas in the city. "Ironically, thanks to Mobike and several other bike-sharing businesses that have gone out of business, the public has demonstrated that there is significant demand for this service. The question going forward is how the remaining players can innovate on how to skilfully comply with LTA’s policy demands and turn a profit from this business," concluded Terence Fan, assistant professor at Singapore Management University (SMU).